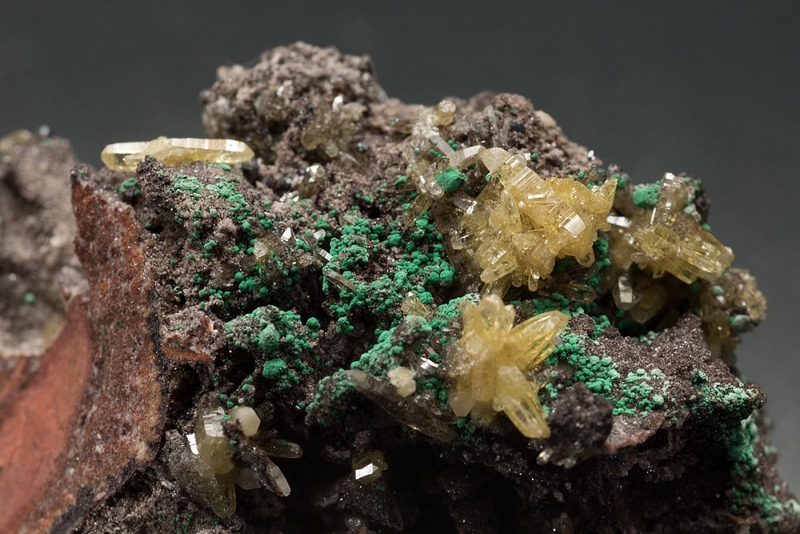 Pale near colourless to lemon mimetite crystals most with the classic Tsumeb pyramidial terminations including one 8mm double terminated crystal. A little associated malachite and cuprite. 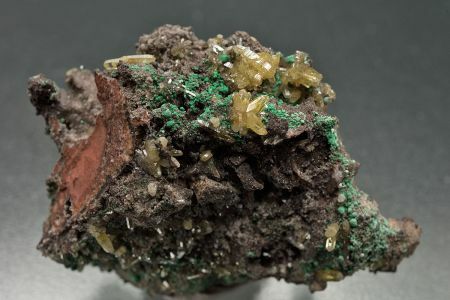 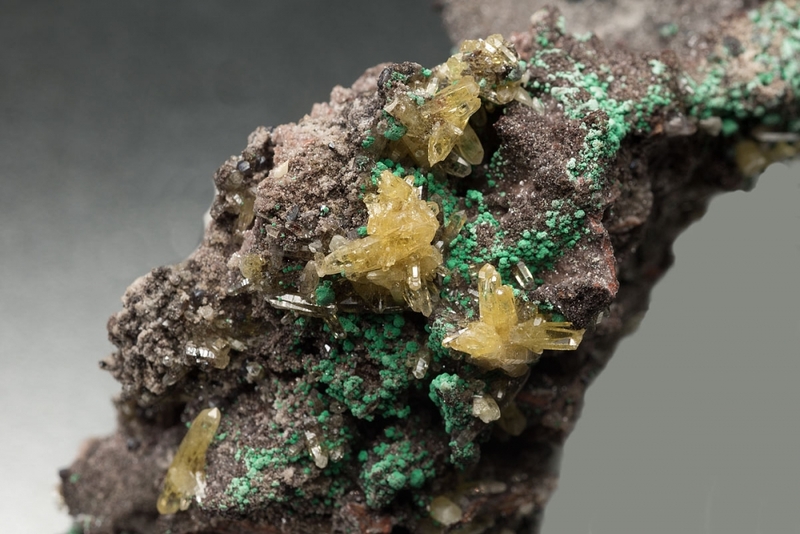 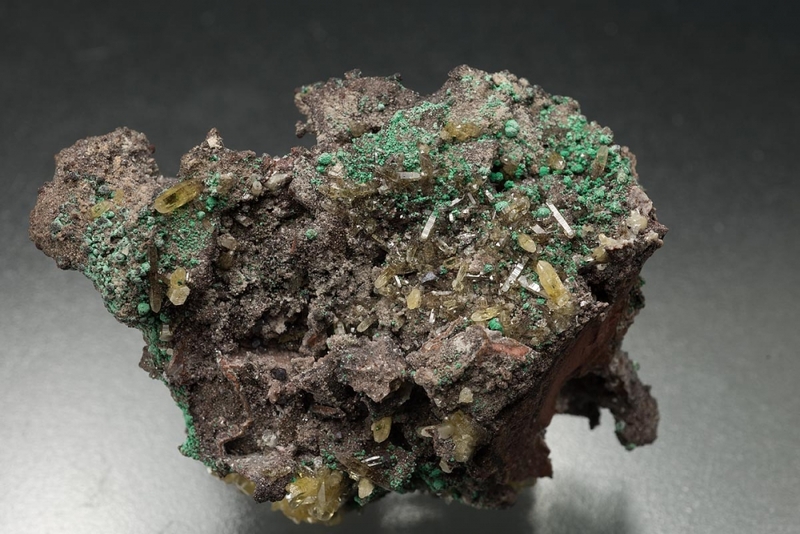 A few mimetite crystals have damage but are carried by the rest of the specimen.